Feral Fixers celebrates the 2009 National Feral Cat Day by fixing more cats! Today, October 16, 2009, is National Feral Cat Day. This is a holiday started in 2001 by Alley Cat Allies to honor Feral Cats. They picked this particular day, October 16th, as this was the day they were officially incorporated. Since then, this holiday has been picked up by TNR groups and allies all over the country. Feral Fixers celebrated this holiday in it's usual manner - by fixing more cats! 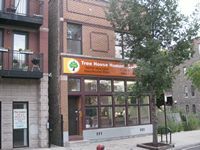 Normally, we take our cats to the PAWS-Chicago Spay/Neuter Clinic to be fixed, but today is a Friday and PAWS is normally closed on Fridays. So, we decided instead to take advantage of the Free Spay/Neuter package offered today for feral cats by the Tree House Humane Society and brought six cats to their facility. Thank you Tree House - what a wonderful way to honor Feral Cat Day! Our President, Tammy, and I brought them in this morning while I went back and picked them up this evening. Their operation is very different from PAWS. PAWS is much more 'industrial' in scale, often doing over 100 surgeries in a single day. 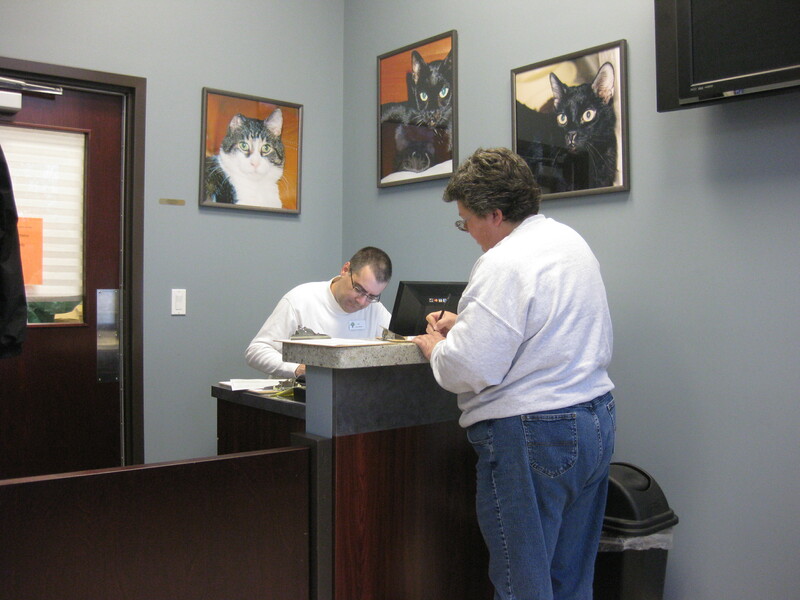 In addition, you can bring in up to five ferals on any day PAWS is open, even without an appointment. Tree House is smaller, insists on an appointment to bring in ferals to be fixed, works only with cats and, perhaps, is a bit more 'personal'. The two organizations are complementary and constantly work together to combat the problem of pet overpopulation. I've put some photos in this post of our visit today to Tree House. The first photo thumbnail (topmost) is of Tammy, checking in our cats. 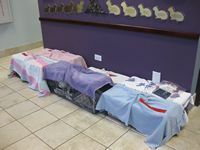 The second photo is of the six cats we brought in while the third photo is of the front of the Tree House veterinary clinic facility. With these six cats, Feral Fixers has done 48 for the week (a busy week! ), 61 for the month, 668 for the year and 1,279 overall.